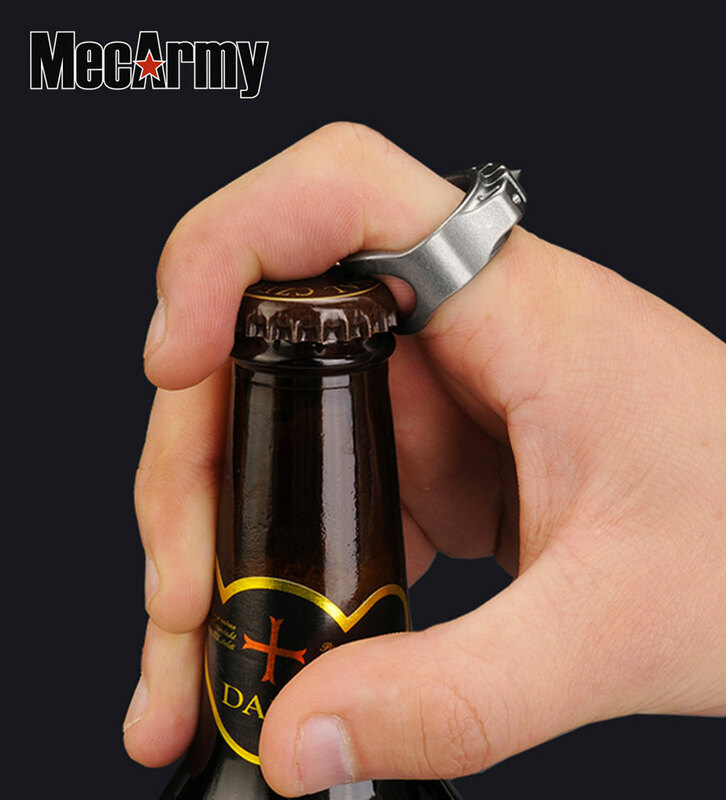 MecArmy has made a formidable Titanium Tactical Ring for dudes. 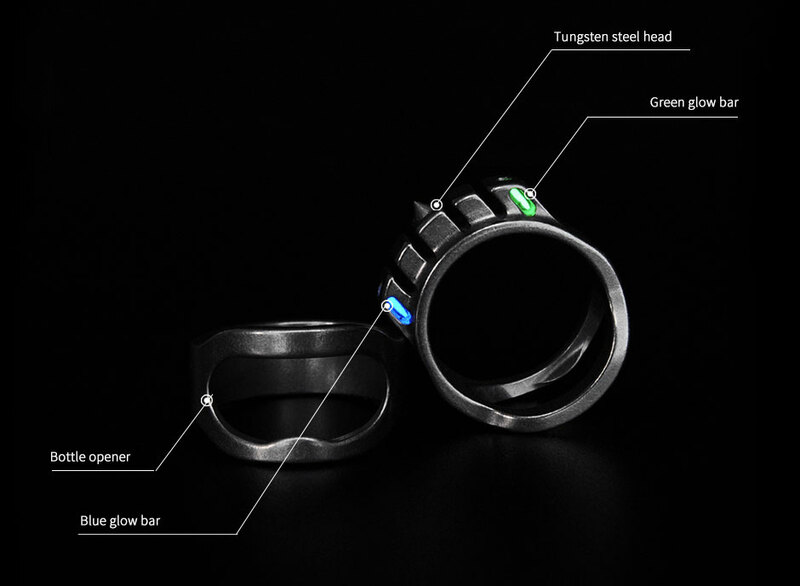 In addition to its industrial, and sort of intimidating, design, the ring make the perfect gift for a man who enjoys the intense glow of tritium, the satisfying snap of bottle caps, and the cascading shatter of breaking glass. That last one in emergencies only, of course. 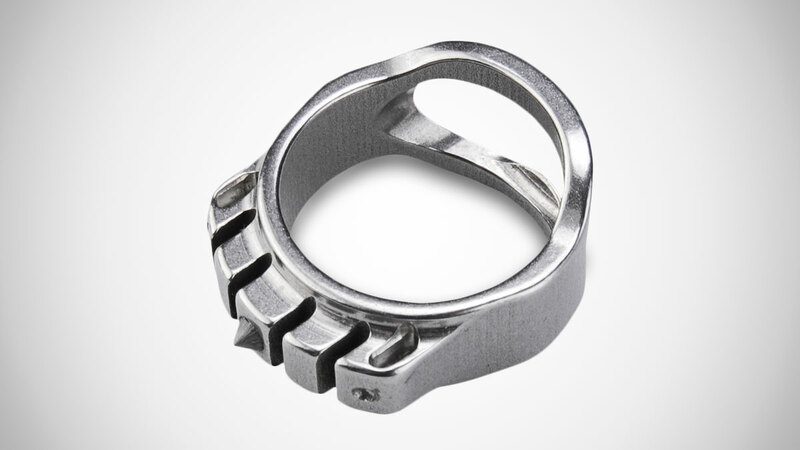 MecArmy's Titanium Tactical Ring is obviously molded from titanium, and fitted with 5 arcing "blocks" across the top. The 2 end blocks contain holsters for green and blue tritium glow bars, which glow brighter the darker their surroundings, and maintain their brilliance for up to 25 years. In the center, a tungsten steel striker rises...pointedly...out of a third block. In addition to breaking glass, the spike can also assist with self defense. 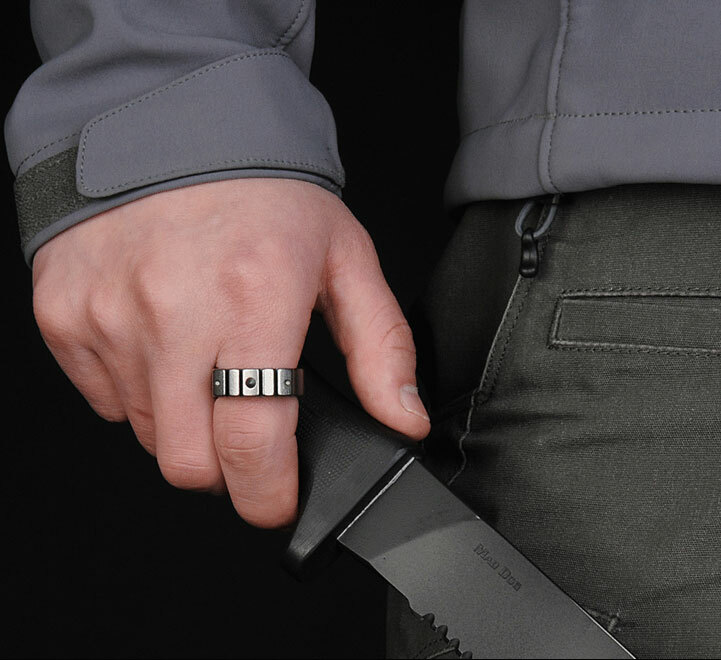 On the back side of the Tactical Ring is a bottle opener cutout that can pop tops while the ring is on or off. If you prefer, you can also string the MecArmy issue through chain and wear it as a necklace.